Texts by Broodthaers, Alexander van Grevenstein, and Ian Jeffrey. 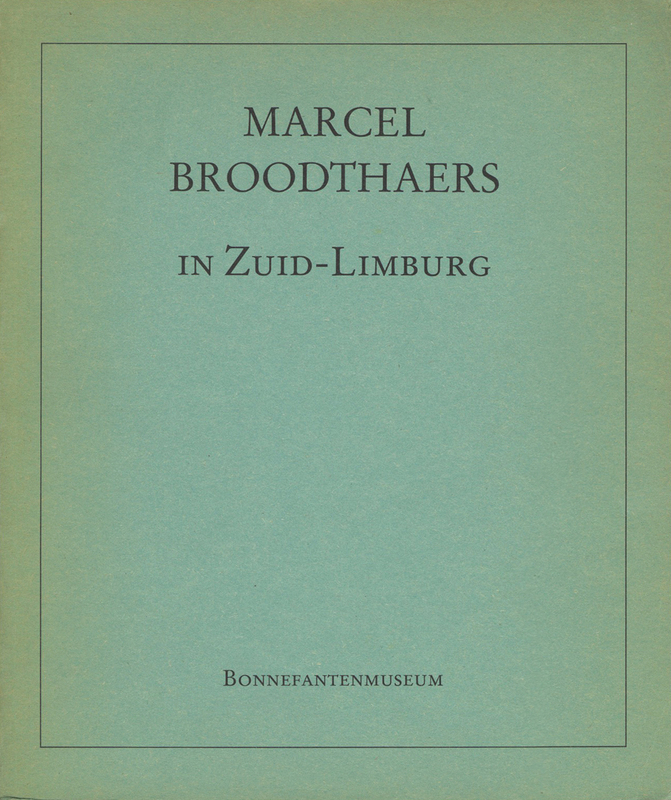 A curious, almost ethnographic chronicle of the writings and photographs Broodthaers made in Zuid-Limburg, the southeasternmost province of The Netherlands, in the years just before and after he became an artist. Copiously illustrated. Dutch, German, French, and some English.